[post_ads]In his early twenties, the renowned British physicist was diagnosed with amyotrophic lateral sclerosis, ALS or Lou Gehrig's disease. He died at his Cambridge home March 14 at age 76. 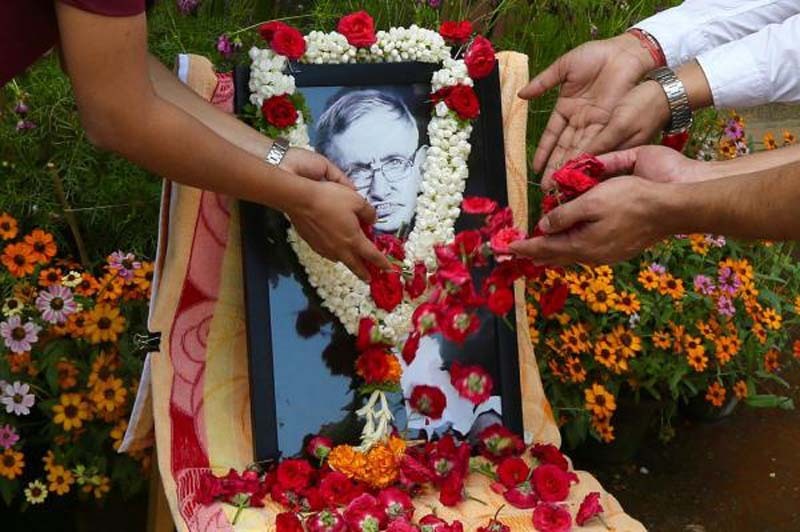 Hawking's expertise in astrophysics and cosmology rose to prominence in 1988 with the publication of A Brief History of Time, a book that sold more than 10 million copies in 35 languages. Hawking's children said in a statement: "On behalf of our whole family we want to express our huge gratitude to all the wonderful tributes to our father and to those who have sent us messages of condolence. "Our father lived and worked in Cambridge for over 50 years. He was an integral and highly recognizable part of the university and the city. For this reason, we have decided to hold his funeral in the city that he loved so much and which loved him. "Our father's life and work meant many things to many people, both religious and non-religious. So, the service will be both inclusive and traditional, reflecting the breadth and diversity of his life. We would like to thank Gonville and Caius College, the University of Cambridge and Trinity College, Cambridge for their assistance with our father's funeral service." Oh June 15, Hawking's ashes will be interred close to the remains of Sir Isaac Newton in Westminster Abbey.